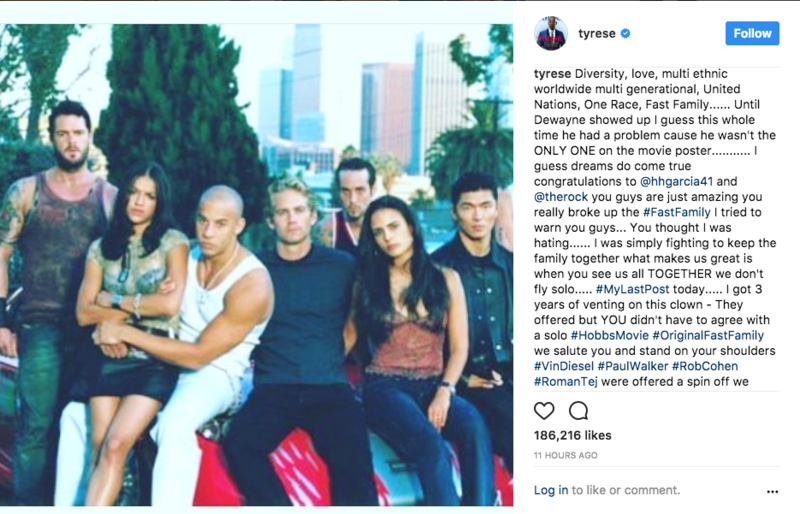 Tyrese has slammed Dwayne “The Rock” Johnson in light of the recent news that Johnson’s The Fast and the Furious spinoff film has been approved for 2019. 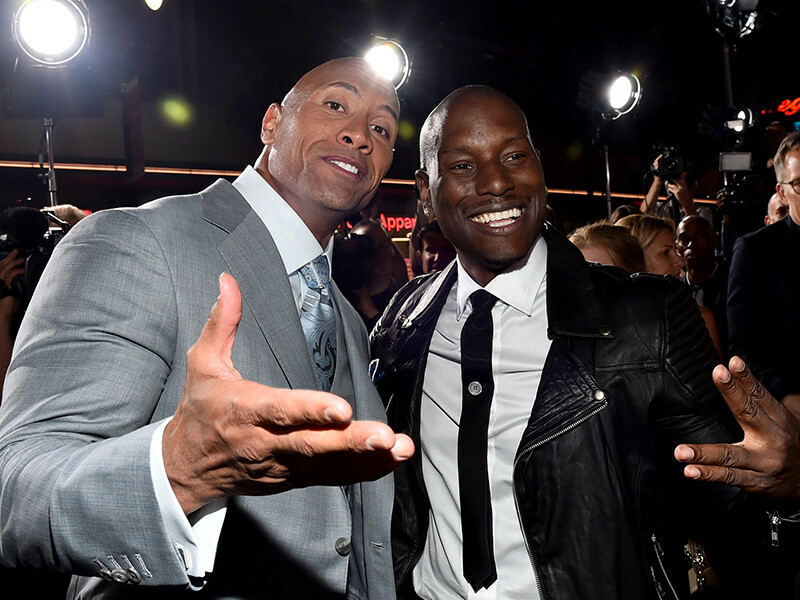 In mid-September, Tyrese called out Johnson after learning of the star’s plans to move forward with a spinoff film that focuses on the characters of Johnson and fellow co-star Jason Statham. 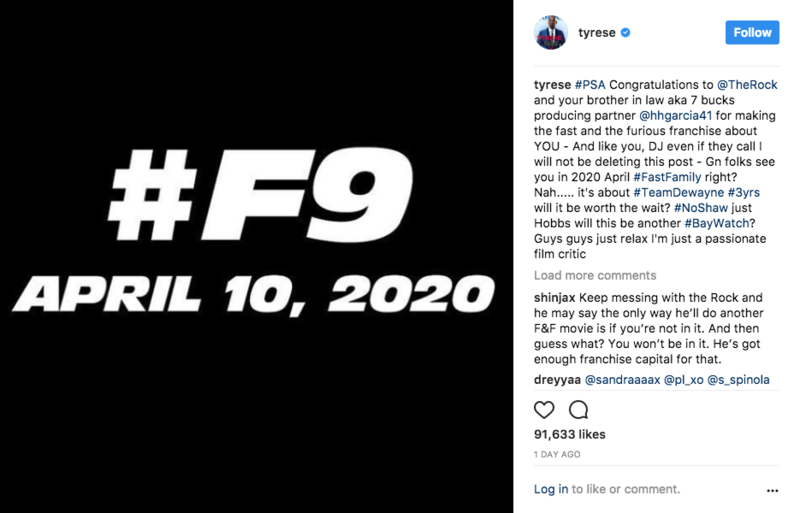 In a lengthy Instagram post, Tyrese asked Johnson to push the spinoff’s release date back so the ninth installment of the franchise could come first. On Thursday (October 5), The Hollywood Reporter announced the spinoff film will come first and is set for a July 26, 2019 release. The ninth installment of The Fast and the Furious will now be released on April 10, 2020, a year later than previously planned. 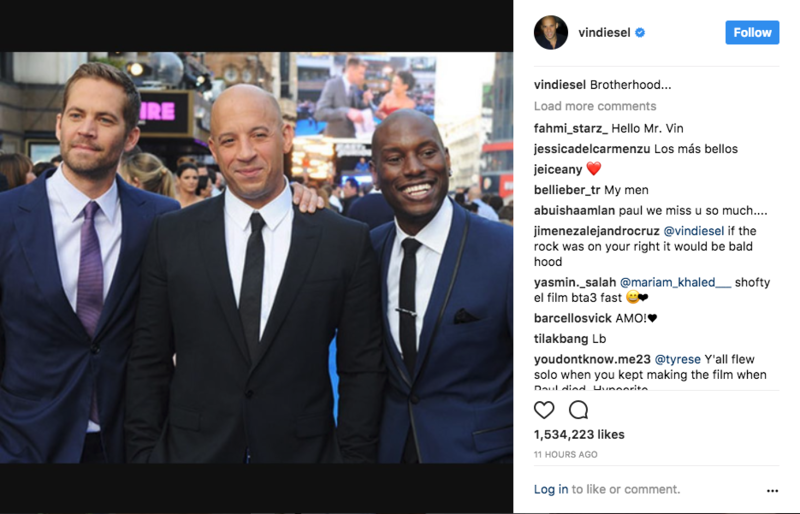 Tyrese also revealed that a number of the franchise’s other marquee stars, including Vin Diesel, the late Paul Walker and Ludacris, all turned down the opportunity of doing separate spinoff films based on their own characters.